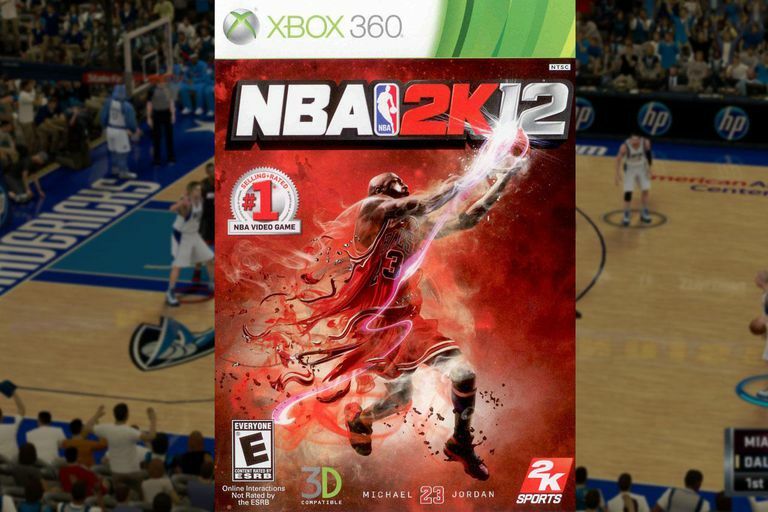 Cheats, codes, and secrets for NBA 2K12 on the Xbox 360. There are currently several cheats in our database for NBA 2K12 on the Nintendo Wii video game console. This title is available for several platforms, each of which has a cheat code page, listed below the codes and achievements on this page. The following cheat codes can be used on the Xbox 360 version of the game. Note: Cheats are entered as passwords within the game's menu system (Extras Menu > Codes Menu). Unlock NBA 2K development team. The following achievements can be unlocked by playing NBA 2K12 on the Xbox 360 video game console. To unlock an achievement and any associated gamerscore points simply complete the indicated task from the list below. 4-Point Line (20 GS points). A 2K to Call My Own (25 GS points). Another Day, Another Win (20 GS points). Win five NBA Today matchups. Back to Back to Back (15 GS points). Win three ranked matches in a row. Block Party (20 GS points). Buzzer Beater (20 GS points). Complete all three in-game objectives in My Player mode. Come Fly with Me (15 GS points). Purchase Michael Jordan's dunk package (His Airness) in My Player mode. Dawn of an Era (15 GS points). Don't Hate the Player (25 GS points). Five by Five (20 GS points). G Performance (20 GS points). G Prime (20 GS points). End the 1st period with a 15 point lead or greater on the Hall of Fame difficulty setting. G Recovery (10 GS points). Giveth and Taketh Away (20 GS points). Hey Mr. DJ (10 GS points). Hold the Fat Lady (20 GS points). Home Court (25 GS points). I'm Worth It (25 GS points). Land a contract that pays at least $10M per season in My Player mode. It's Better to Give (15 GS points). It's Raining (20 GS points). Left My Mark (15 GS points). Complete 10 of the NBA's Greatest challenges. Made My Name (15 GS points). Complete five of the NBA's Greatest challenges. Men of Steal (20 GS points). Money Bags (15 GS points). Purchase 3,000 skill points in a single transaction in My Player mode. My All-Star (25 GS points). My Big Eight-O (20 GS points). My Every Day Player (20 GS points). My Player of the Game (20 GS points). NBA Cares (15 GS points). Not Your Father's Association (25 GS points). Shooting Star (20 GS points). Sprite Slam Cam (15 GS points). Get the Sprite Slam Cam replay after a dunk with LeBron James. Win five games in a row in The Association mode (playing all five games). Swat and Swipe (20 GS points). Record at least five five blocks and 5 steals with any team, in a non-simulated game. The Closer (20 GS points). The Sum of Its Parts (15 GS points). Play a Team Up Game. The Whole Shebang (50 GS points). This One Counts (15 GS points). Ticker Tape (30 GS points). Wire to Wire (20 GS points). Wrote My Legend (30 GS points). Complete all 15 of the NBA's Greatest challenges. You're Officially Hot (20 GS points).